Posted by admin in admin, miscellaneous, personal. Things will be quiet here for a few days because of a brief holiday. The Volcanism Blog will resume at full strength on Thursday 15 July. 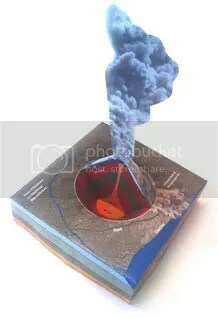 Posted by admin in miscellaneous, personal, volcanoes. The Volcanism Blog has lost a respected friend with the death on 9 July 2010 of Alan Sullivan. Alan was a tireless volcano watcher, among many other things. He’ll be missed. This is not volcanic, just ludicrous. The official State Rock of California is serpentine. The days of serpentine holding that honour may be numbered, however: State Senator Gloria Romero has decided that serpentine = asbestos = cancer and is demanding that California dump serpentine and ‘leave the state rock unspecified’, for ‘California should not designate a rock known to be toxic to the health of its residents as the state’s official rock’. To find out more go to Eruptions, where this nonsense is taken down with style by Dr Erik Klemetti. 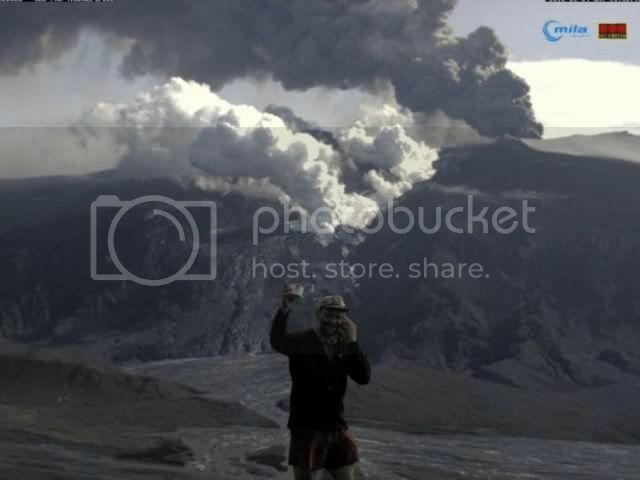 Our thanks to Betty in AZ for sending in this glimpse of the fabled Iceland Coffee Guy, captured on the Eyjafjallajökull Þórólfsfelli webcam this morning. Click on the image to enlarge. Posted by admin in admin, miscellaneous. The image hosting problem should be sorted out over the next couple of days: thanks to everyone who has made suggestions and especially to those who have very generously offered hosting space. I shouldn’t need to take up those offers now, but I am very grateful. I’ve been having problems with the volcanismblog@btinternet.com e-mail address over the past week or so – messages that should have arrived days ago are only gradually trickling in, while others seem to have disappeared into thin air. Please accept my apologies if you have e-mailed me at this address recently and have yet to receive a reply. Everything seems to have been OK until 11 April 2010: as far as I can see it is only messages sent on or after 11 April that have been held up (and not all of them). I will try to respond to delayed messages as they come in, but if you have written to that address and have heard nothing back please do feel free to re-send your messages. Finally, thank you to the generous souls who have made donations via PayPal over the last few days. It’s very much appreciated! Events in Iceland are currently bringing loads of new visitors here, which is great but which puts pressure on the Photobucket free image hosting service we use at this blog. When Photobucket feels under pressure images temporarily disappear. If you’ve noticed missing pictures on some of the posts, that’s the reason. Sorry about that. There is a solution: if you like this blog and want to see it thrive put your hands in your pockets and cough up some cash, so that we can leave the constraints of free image hosting services behind. The Volcanism Blog will be away for Easter until (probably) 8 April; in the meantime you can as ever keep up with volcanic developments at Dr Erik Klemetti’s Eruptions blog. 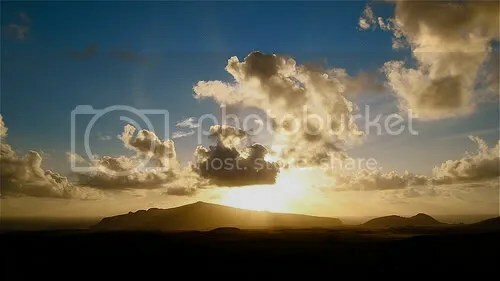 The picture is of Volcán Poike, a shield volcano on Isla de Pascua – Easter Island. This picture is copyright Steffen Dubouis and comes from Flickr. It is reproduced here under the terms of the applicable Creative Commons licence. Happy Easter and Happy Holidays to all our readers. I’ve been laid low by some kind of stomach bug sicky flu type thing, hence the recent lack of activity around here. The world’s volcanoes will have to look after themselves for a bit until I’m recovered. Apologies.